FEATURES/SPECS Wall Street traders need two things to be successful, a pen to do their work and a business card to network. 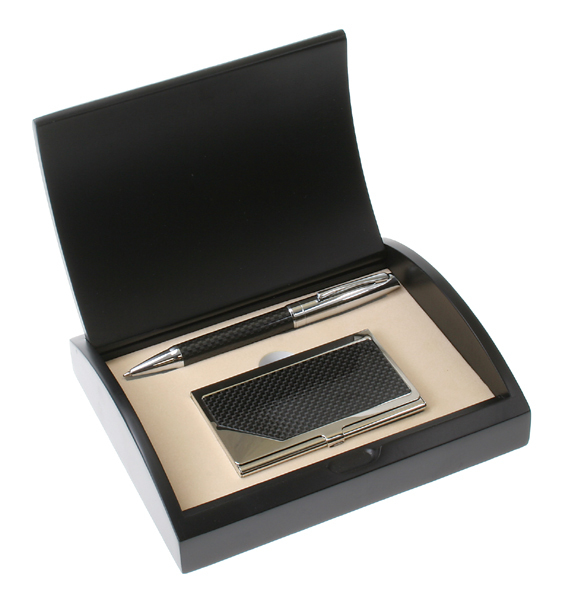 Give a trader or stock broker the gift of both with this ballpoint pen and business card case gift set. 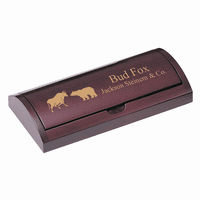 The pen and case comes nestled in a foam inlay inside a wood gift box. 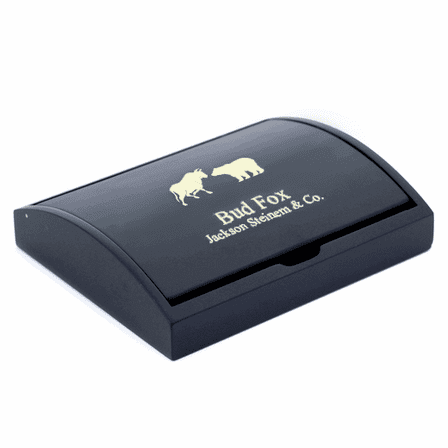 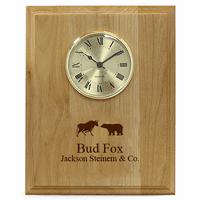 The box is finished in satiny smooth black and comes laser engraved with the symbol of wall street, the classic bull and bear. 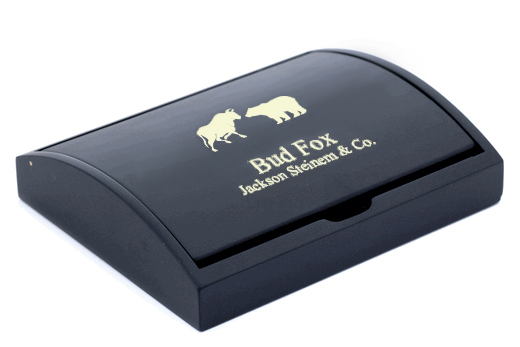 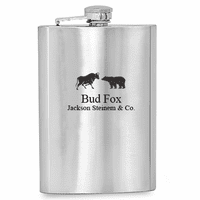 Add your own free laser engraved message to the lid for a uniquely personal touch. 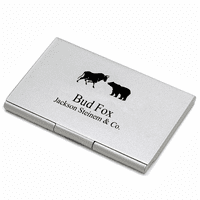 Popular personalization ideas include a name and job title or a short inspirational quote.